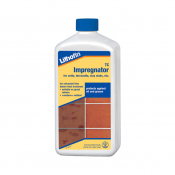 A special impregnation which repels water, grease and oil. Used to protect flooring, table tops and working surfaces made of absorbent natural and artificial stone (s.a. marble, Solnhofer stone, sandstone, fine stoneware). For indoors and outdoors. 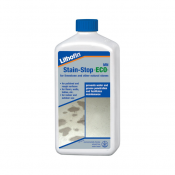 Prevents the stone from staining spots or makes removing of spots much easier, the stone remains capable of breathing. The products is free of solvents and has only a faint odour, therefore it is ideal for use in rooms which are already in use. 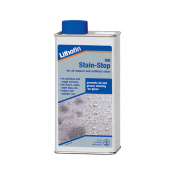 Excellently suitable for application on humid surfaces.